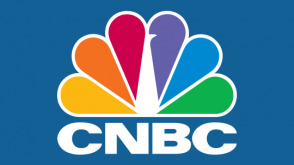 CNBC is an American basic cable, internet and satellite business news television channel that is owned by NBCUniversal News Group, a division of NBCUniversal, owned by Comcast. An entrepreneur hawks a secret formula; a stay-at-home mom builds furniture; and a personal trainer pitches a fitness device. Also: children share an idea with the sharks that they came up with while on a family road trip.